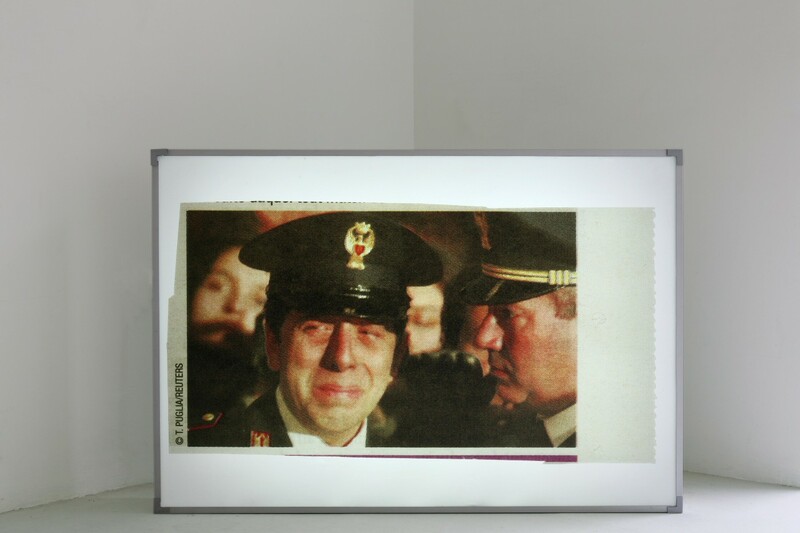 Claire Fontaine’s solo exhibition explores the blind spots of today’s political and sensorial conflict perception. The work presents itself as a collateral effect of the blurred information we receive non-stop from various parts of the planet and of the anxiety caused by this, which cannot be mitigated by translations or explanations. 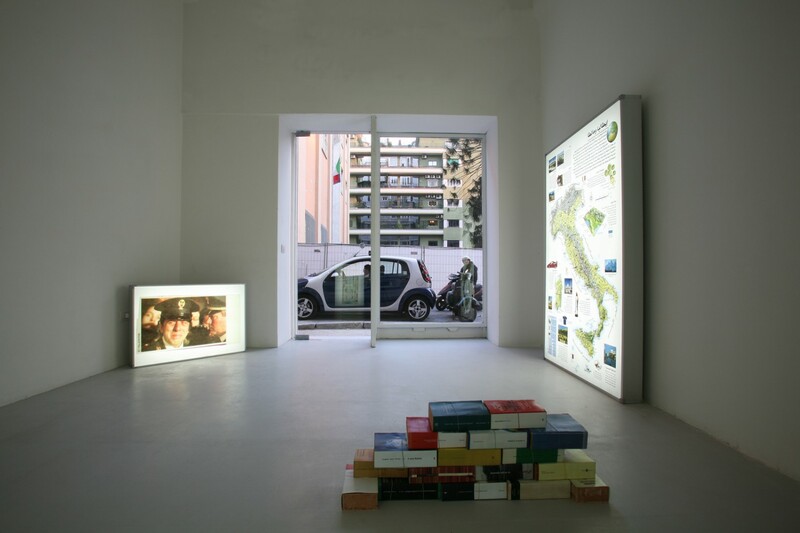 The gallery’s space in Piazza Amendola is illuminated by Visions of the world (Italy) and Visions of the world (Milan-Genoa), two light boxes that recall advertisements in railway stations and in the underground. 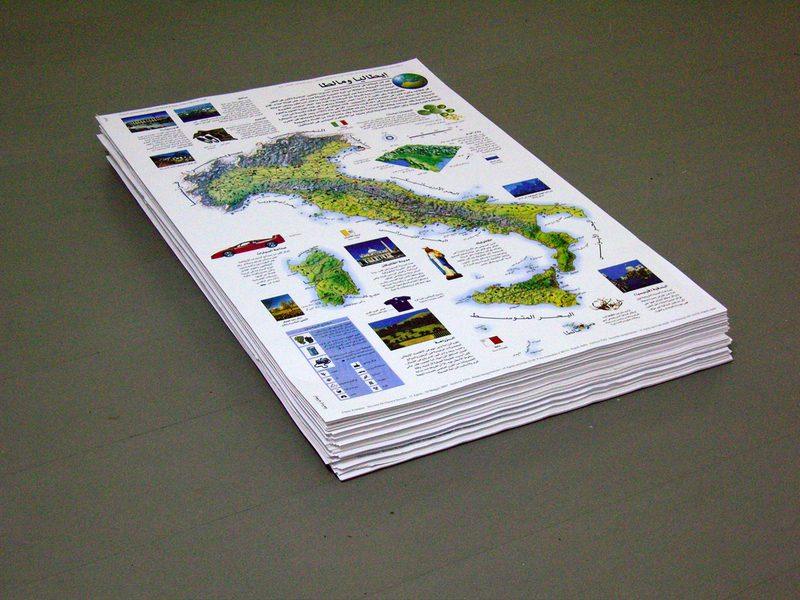 The reproduced images refer to the protests during the G8 summit in Genoa in 2001. 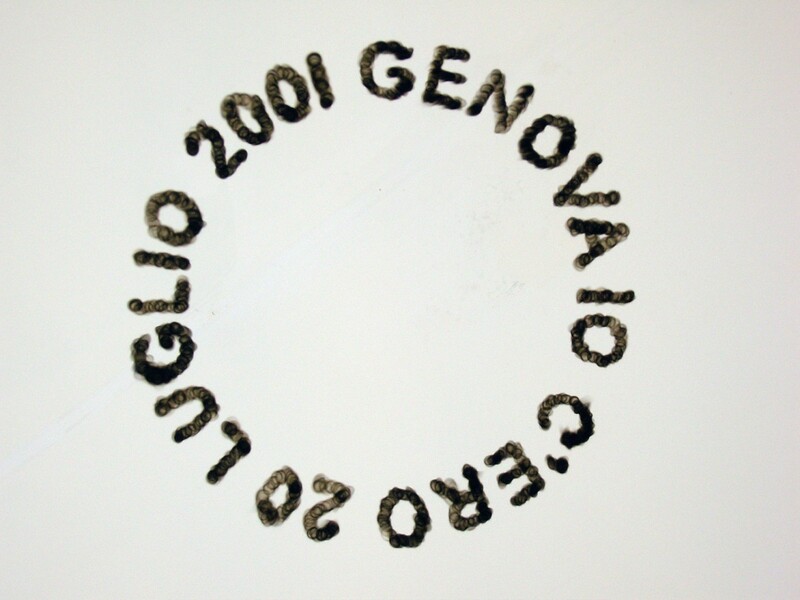 The circular writing on the gallery’s ceiling, created with fire, refers to the same events and is called 20.07.2001 Genova, io c’ero (Genoa , I was there): this slogan could be seen on t-shirts printed and worn by the carabinieri, who took part in the violent repression of the counter summit in the summer of 2001. 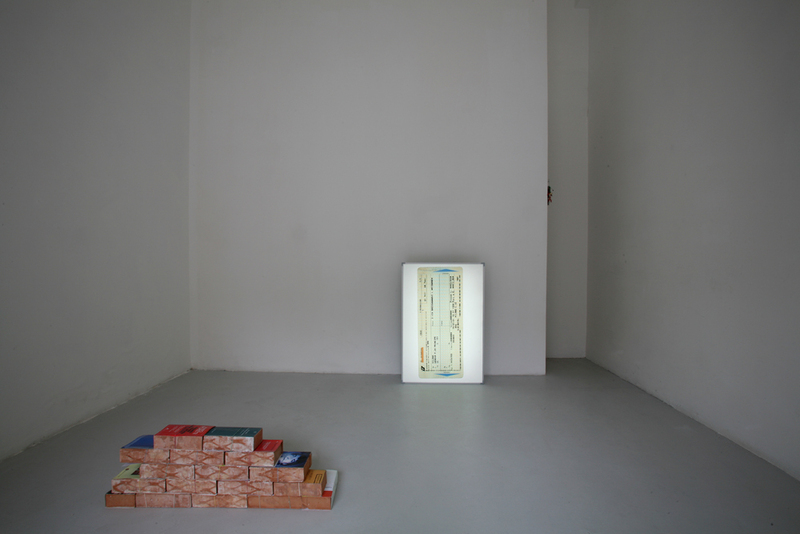 On the floor we find sculptures made of bricks covered with covers that hint at doubts about the possibilities of intellectual resistance against violence. 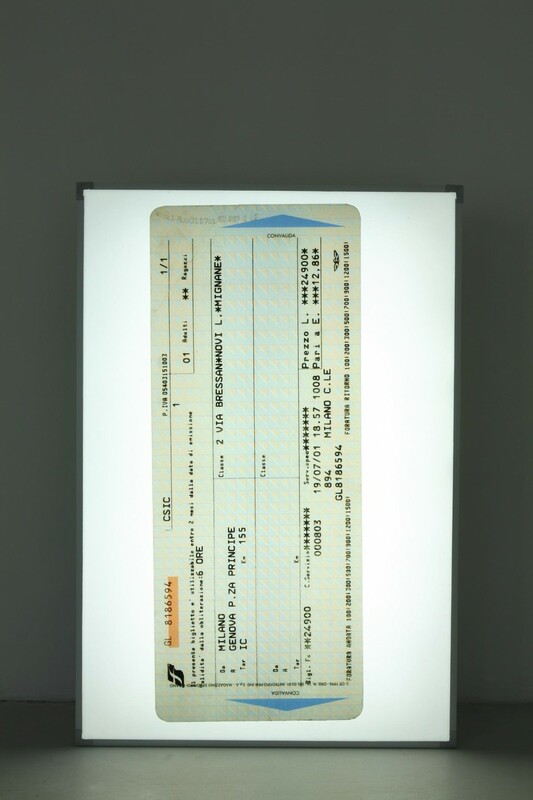 The neon sculpture Ibis redibis non morieris in bello (2006) is on display in the gallery’s space in Via Tribunali. 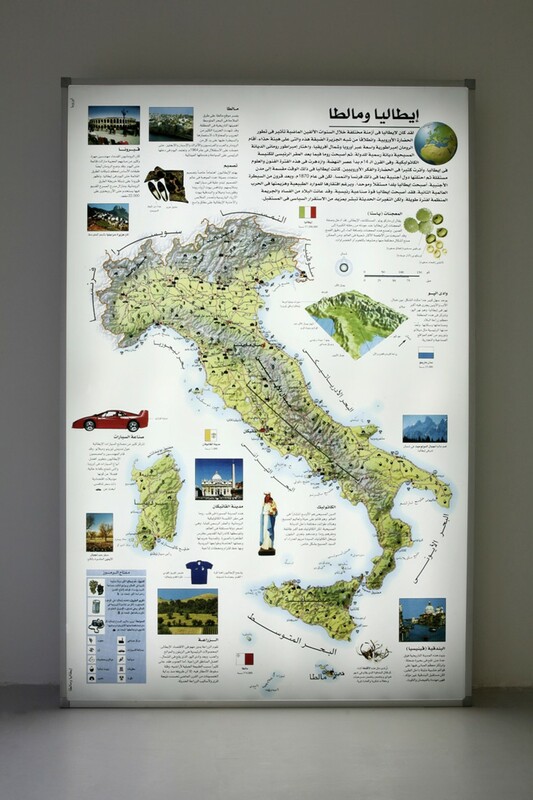 It flashes on and off displaying two messages: “andrai in guerra, tornerai, non morirai” (you will go to war, you will come back, you will not die) and “andrai in guerra,non tornerai, morirai” (you will go to war, you will not come back, you will die) as a contemporary echo of the Cumaean Sibyl’s ambiguous prediction.